This is a tribute to the college living experience. 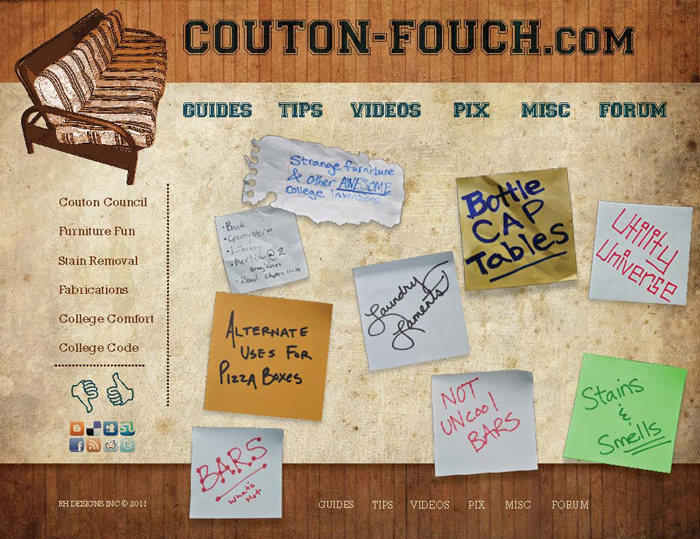 Anything you ever wanted to know about the collegiate approach to living can be found on CoutonFouch.com. 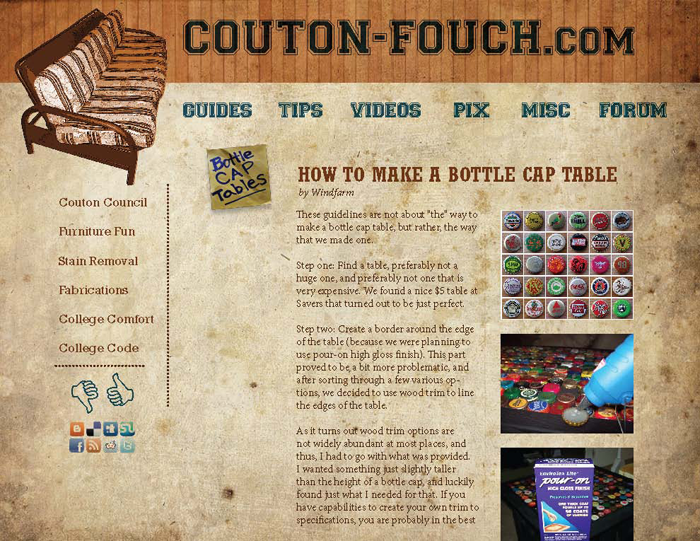 The grungy and haphazard design reflects the can-do and make-do attitude of college students everywhere. Who cares if it looks good as long as it works!